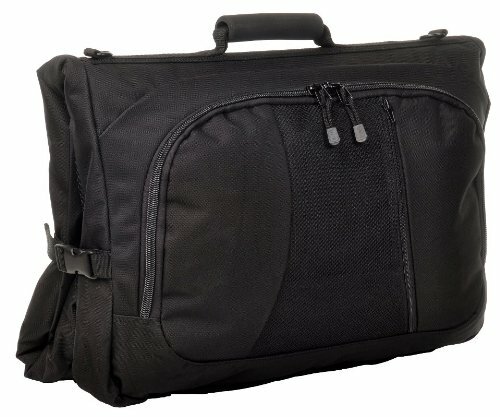 Sandpiper of California Business Bugout Garment Bag, A Compact garment bag with padded hand grip, external mesh panel, piggy-back sleeve to secure to a roll-around luggage handle. Converts to a backpack with concealable straps. Meets carry-on guidelines. Compact, versatile and a more manageable garment bag with a number of great features. Padded hand grip, external mesh panel for plane ticket or name tape, piggy-back sleeve to secure to a roll-around luggage handle. Double fold reduces profile to better fit airline carry-on guidelines. If you have any questions about this product by Sandpiper of California, contact us by completing and submitting the form below. If you are looking for a specif part number, please include it with your message.